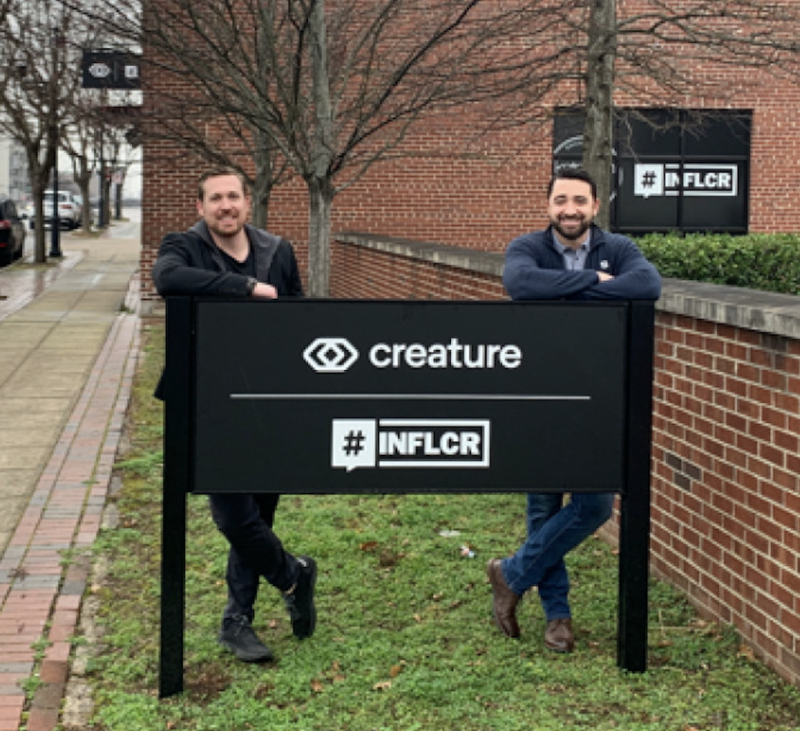 INFLCR founder and CEO Jim Cavale, right, with Creature co-founder and CEO Mike Gibson outside their shared office building in downtown Birmingham, Ala. INFLCR has relocated from Birmingham’s Innovation Depot to the 4,000-square foot office space. Influencer (INFLCR) has a new home and a new look. The software company, now in its second year of operations, has relocated from the Innovation Depot in downtown Birmingham, Ala. to a stand-alone building at 2212 First Ave. South in Birmingham that better serves a growing roster of employees and clients. Simultaneously, INFLCR launched its rebranded website and mobile site to better tell the stories of a client base that has swelled to serve more than 100 college and professional sports teams since launching just 17 months ago in September 2017. “For the INFLCR brand to continue to develop is something I am very proud of,” Cavale said. “We help other brands tell their story through our SaaS content-delivery platform, so for our brand to continue to grow itself and go to the next level is integral to our success. 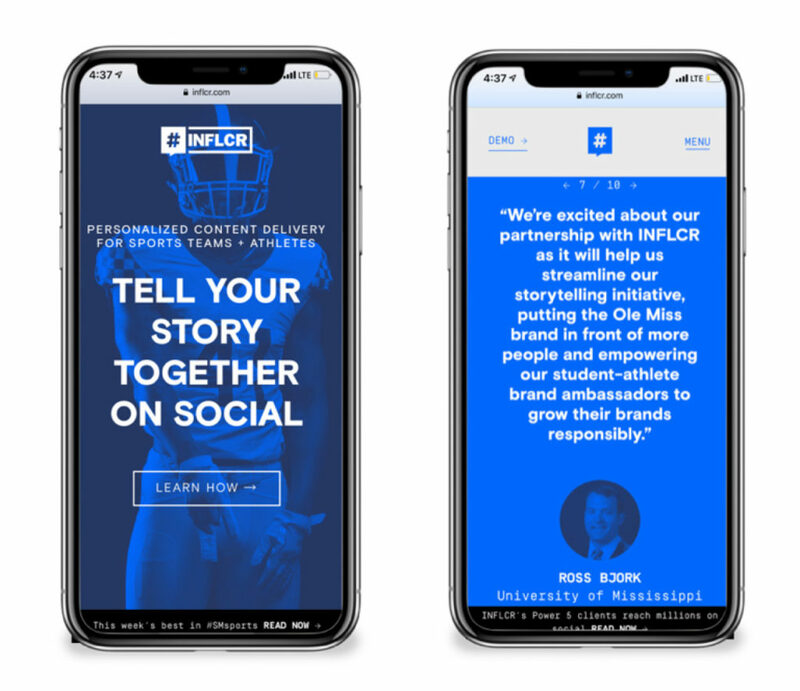 INFLCR’s new website and mobile site showcases client successes to showcase how the software is impacting the brands it serves. INFLCR’s website received a complete branding overhaul in consultation with Birmingham-based branding firm Devote Studio, “to help bring out the brand of our company in a way that people can know us fast when they visit our site,” Cavale said.